Im am glad Phoebe is doing well so far. Continuing to pray for her and your boys. Great job Nathan! Sometimes just a quick note saying that all is well works too:) I know I look hourly (sometimes more) for these updates to make sure Phoebe is ok so now we can sleep in peace knowing how she is! Sorry to hear about the boys and the separation but what a great plan and what a blessing that you have the ability to heal the boys and Phoebes immune system. Praying that you both stay healthy and that Phoebes counts are high in the sky very soon! 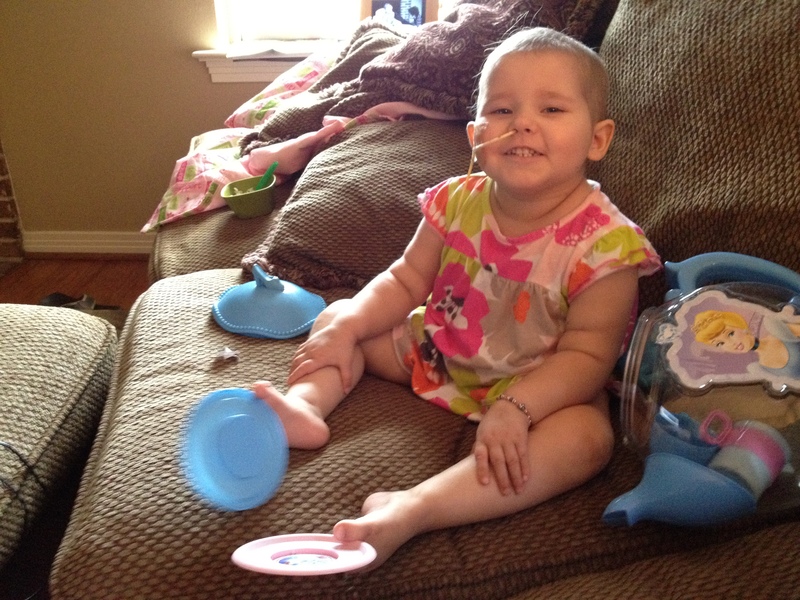 Praying and fighting right along with you Phoebe – we love you:)!! Good job holding the fort Daddy! Hope you both get some good sleep tonight and those numbers begin to steadily climb. We are still praying for Phoebe Nathan! You are a good man! Hang in there. I am praying for Phoebe’s counts and protection and for the boys to get well! Thanks, Nathan. Love to Phoebalicious! Way to Go, Nathan! You did a great update 🙂 Thanks for the picture of Phoebe. Praying that Phoebe’s counts will climb quickly and you can all be an UN-divided family very soon. Look at those beautiful rolls!! Praying for everyone today. Will definitely pray for the boys to get better and be able to come back home and for Phoebe to stay well. Thanks so much for the update! God bless and keep you all! Prayers for Phoebe to get her numbers back up so your family can be reunited again very soon! Love Phoebe’s smile! We’re still praying…. Stay Strong! and hopeful, Miracles are happening everyday. If you ever wanted to discuss about your aquaponics, write me. I did the UVI course on the last year of Jim Rakocy before he retired. Look at that hair! So precious. Praying for everyone. In INK~ and tell Phoebe I will write it in Pink!